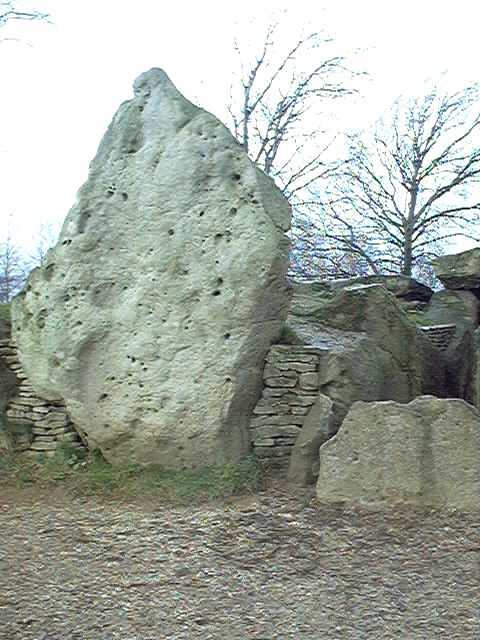 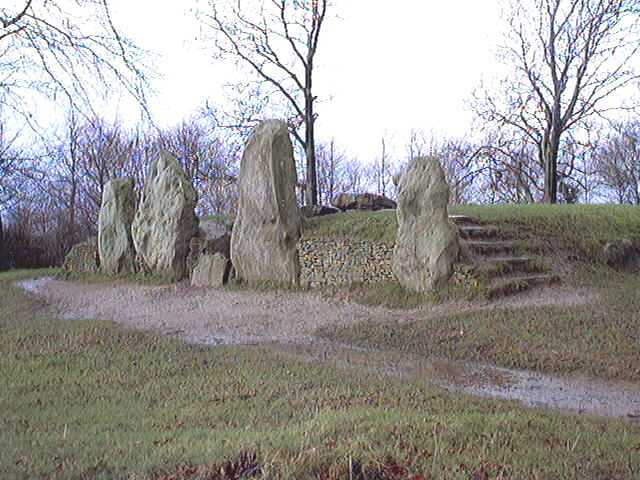 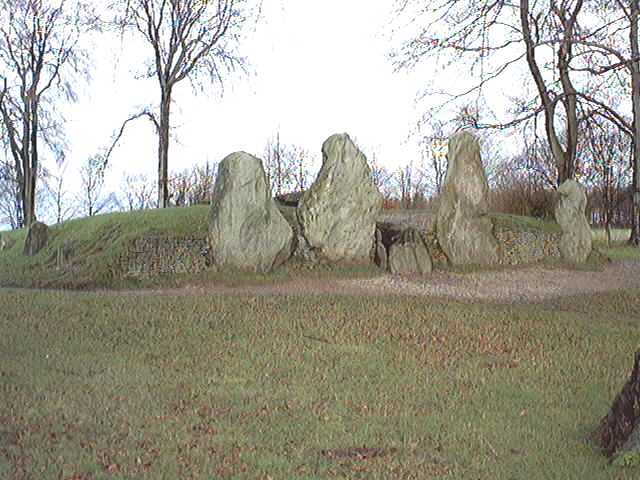 The Neolithic long barrow known as Wayland's Smithy dates from around 3300BC, and is about 180 feet long, 45 feet wide and stands about 6 feet tall. 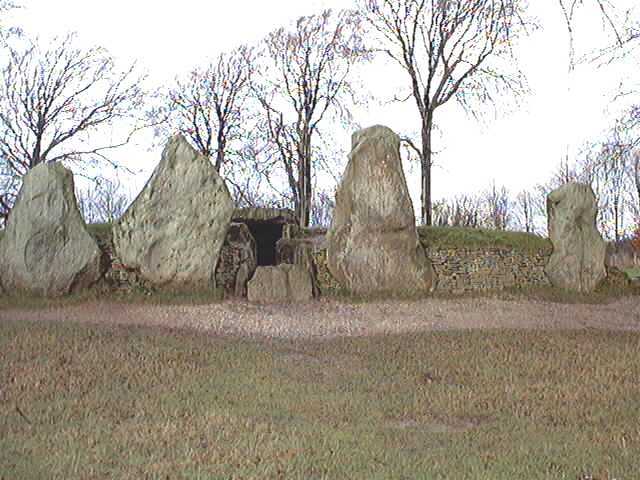 Its straight facade of originally six, but now four, massive stones is broken at its centre by an entrance to an ante-chamber and three burial chambers, laid out in the shape of a cross. 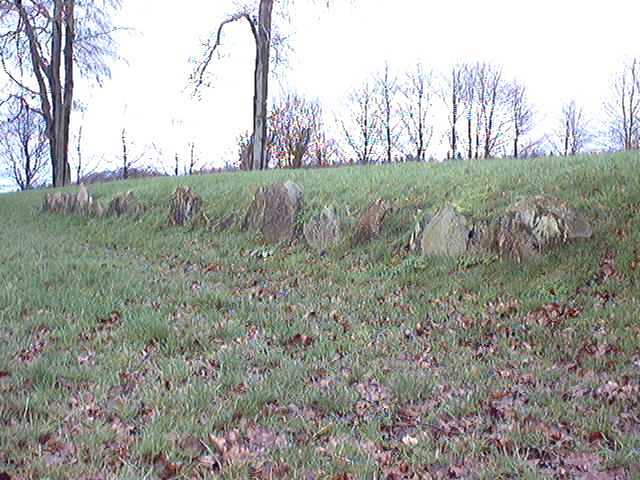 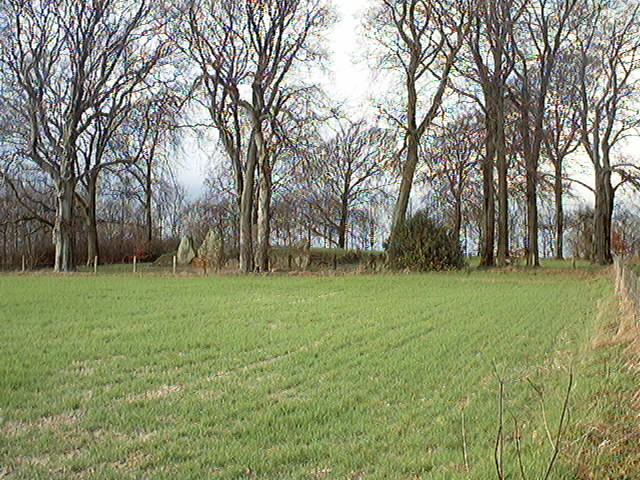 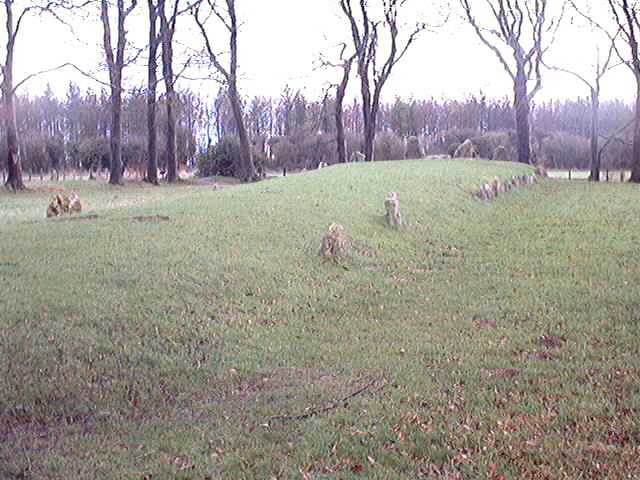 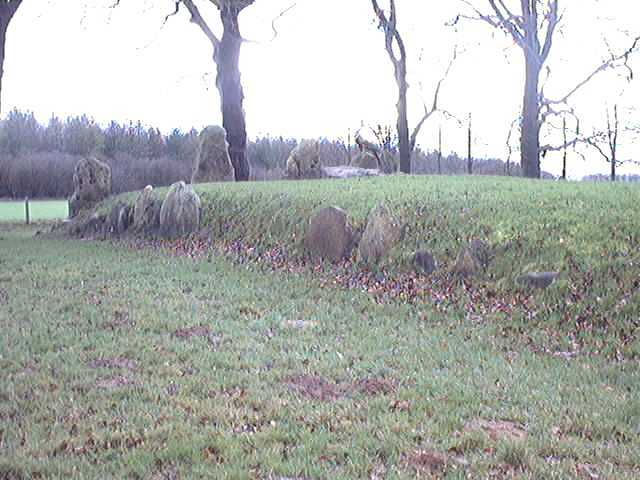 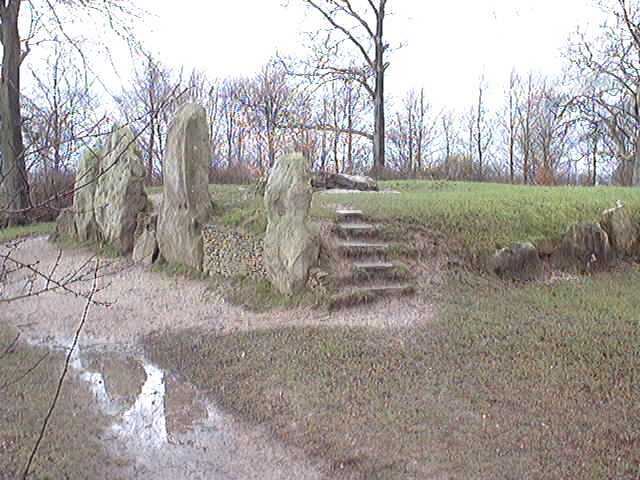 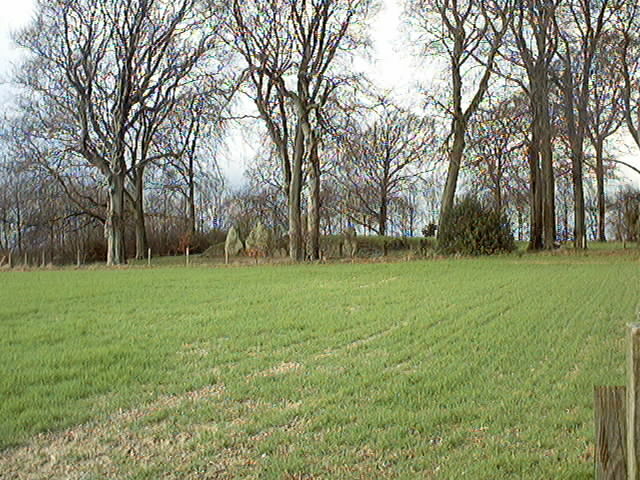 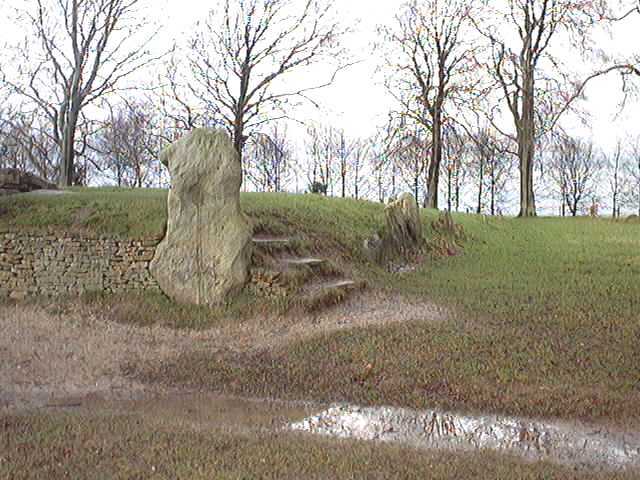 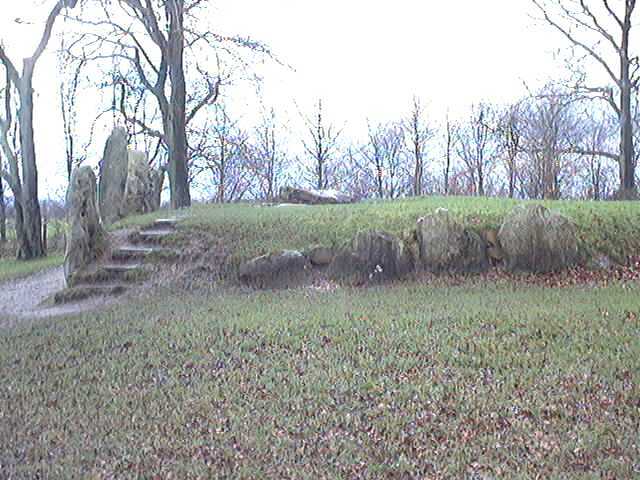 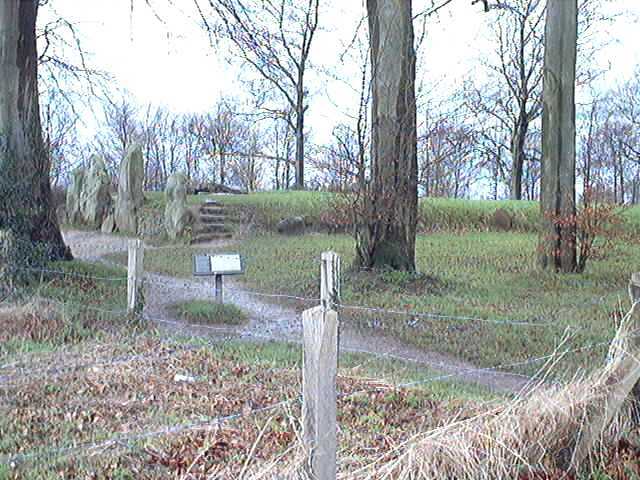 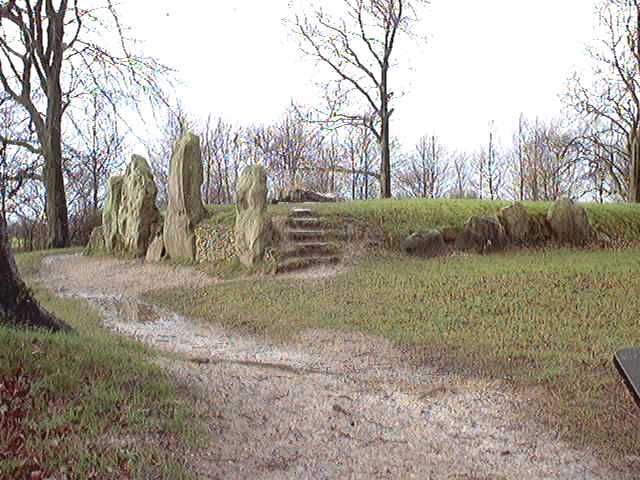 The mound also retains some of its surrounding kerb of sarsen stones. 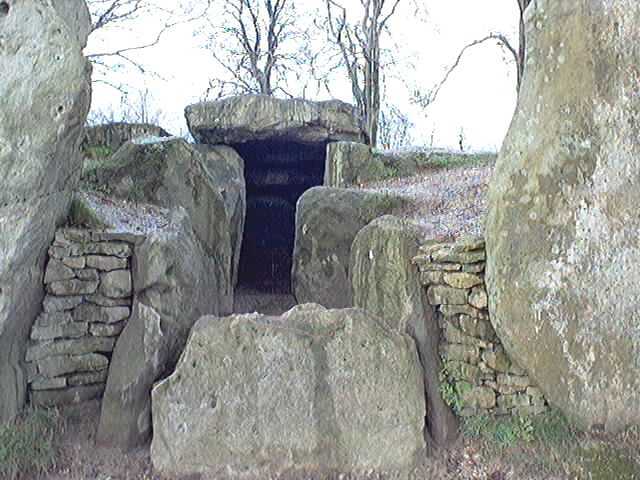 When the burial chambers were excavated in 1920, they were found to have already been disturbed, but contained eight skeletons, including one of a child. 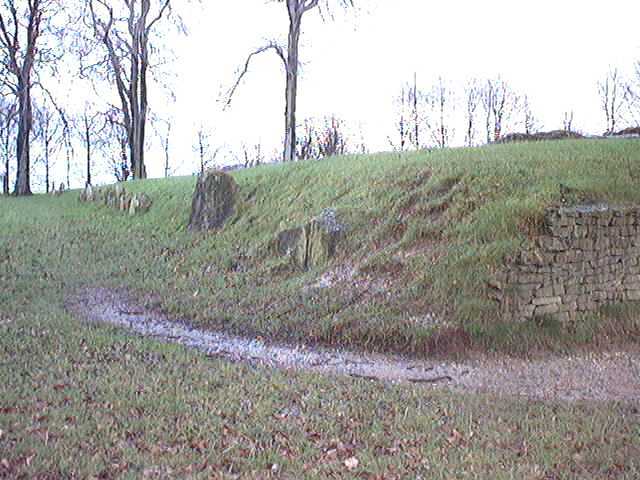 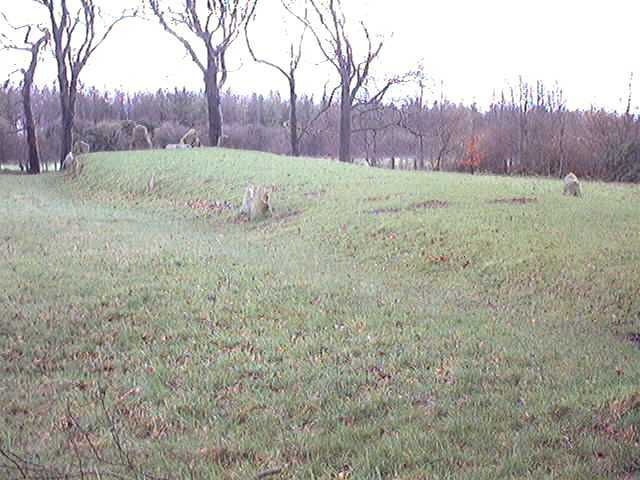 Further excavations in 1962-3 revealed the existence of an earlier long barrow beneath the centre of the present mound, probably dating from two or three hundred years earlier. 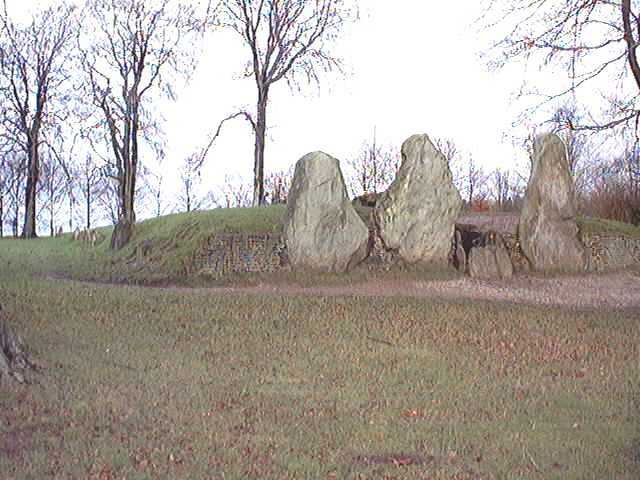 This contained a wooden "mortuary house", or burial chamber, which had collapsed, with the remains of fourteen skeletons lying in a confused mass. 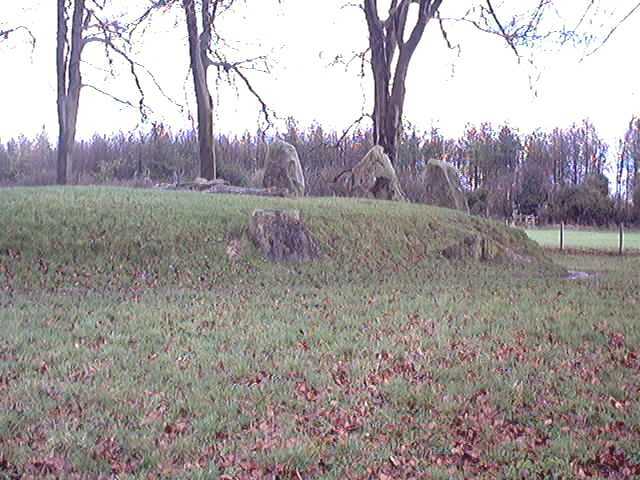 To see a plan showing the two phases of construction at Wayland's Smithy, click here..., then use your browser's "back" button to return to this page. 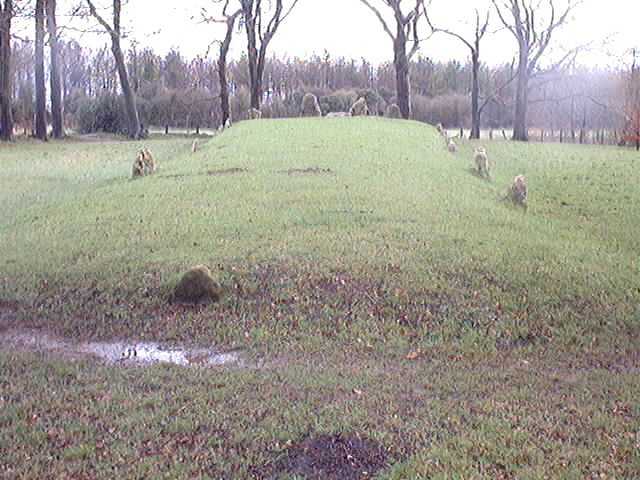 A local legend says the barrow is haunted by an invisible blacksmith who will shoe a horse for a traveller, provided that a coin is left on a stone and that the traveller absents himself while the work is in progress. 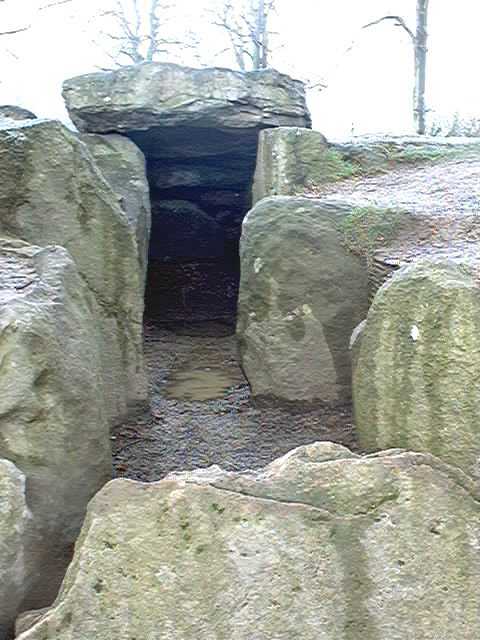 If he tries to watch or if he looks toward the smithy, the charm will fail. 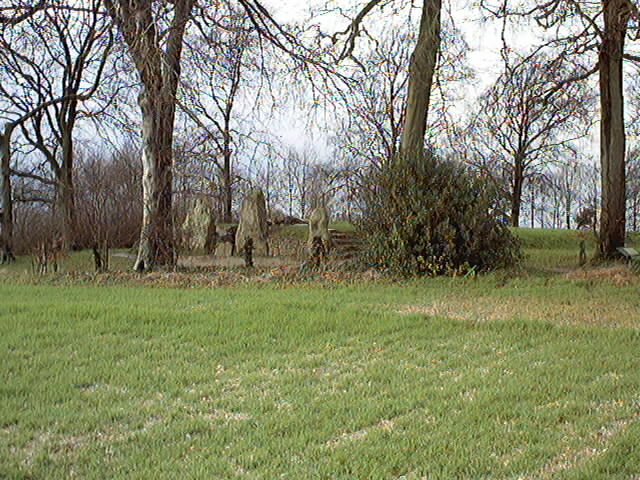 After I visited the monument to take these photos, I realised I had no idea who Wayland was... so I've done some research on him. 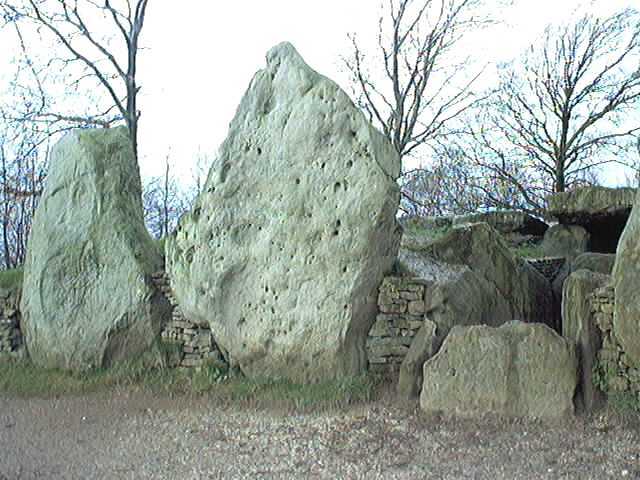 You can see the results by clicking here. 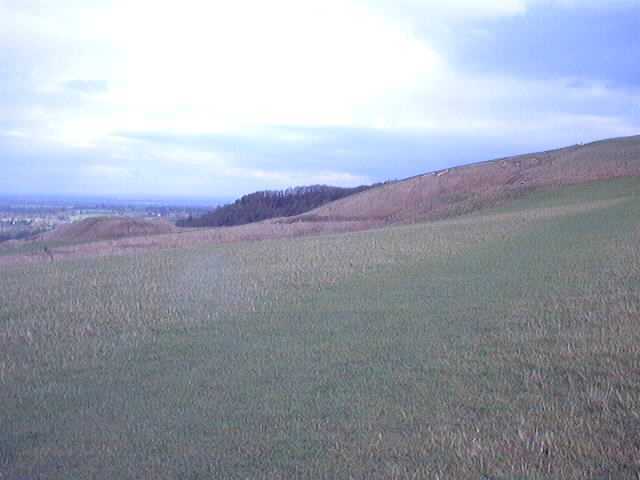 Uffington White Horse, on the hillside next to an Iron Age hill-fort, is the oldest "white horse" in Britain, and was probably cut into the hillside during the 1st century BC as a tribal emblem by those living nearby. 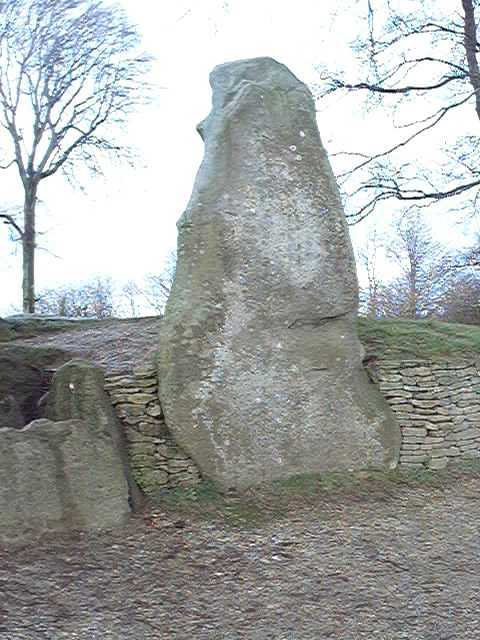 With its strangely-shaped head, it has also been described as a dragon, and legend has it that it's actually the dragon slain by St George... a flat topped hill next to the White Horse is known as Dragon Hill, and the bare chalky area on its summit is supposed to be where the dragon's blood soaked into the ground, so that no grass will grow there. 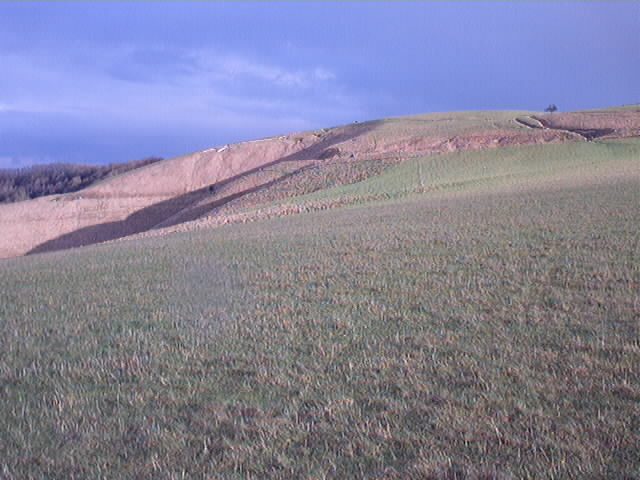 From the ground nearby, you don't get a very good view of the white horse, because the slope of the hill isn't steep enough. 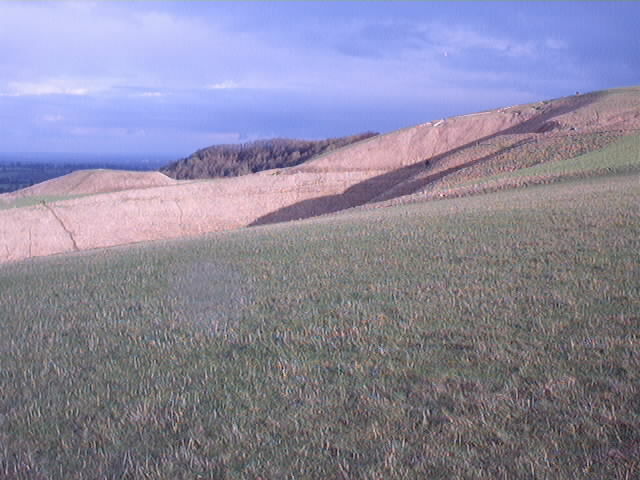 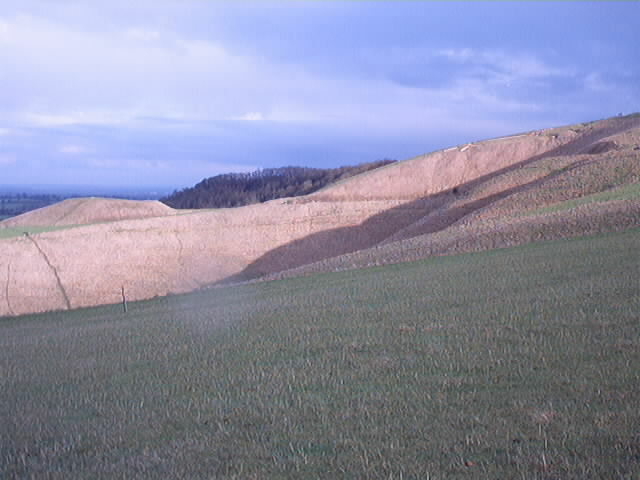 The best view is from the air (see the photo at the top of the page), or from a distance from the flatter ground to the north, an area known as the Vale Of The White Horse.